Are you hungry? WE tv is. The cable channel has ordered the first season of the Hustle & Soul TV series, featuring restauranteur and chef Lawrence Page. Season one is slated to premiered early in 2017. Dan Cesareo, Ken Martinez and George McTeague executive produce, withKim Osorio co-executive producing. David Stefanou and Lauren Lazin executive produce for WE tv. Hustle & Soul season one consists of six hour-long episodes, that follow Page as he seeks a Michelin Star for his Pink Tea Cup restaurant. The achievement would be a first for a soul food establishment. Get the details from this WE tv press release. NEW YORK, NY – August 24, 2016 – WE tv announced today that it has ordered a new docu-series, “Hustle & Soul,” produced by Big Fish Entertainment, focused on the owner and staff of Brooklyn’s Pink Tea Cup restaurant. “Hustle & Soul” follows owner and head chef Lawrence Page on a quest to make the Pink Tea Cup the first soul food restaurant to garner the coveted Michelin Star, all while trying to manage staff in-fighting, power moves and love triangles. WE tv has ordered six, 60-minute episodes of the series, which is expected to premiere early next year. “Hustle & Soul” is executive produced by Dan Cesareo, Ken Martinez and George McTeague, and Kim Osorio serves as co-executive producer. 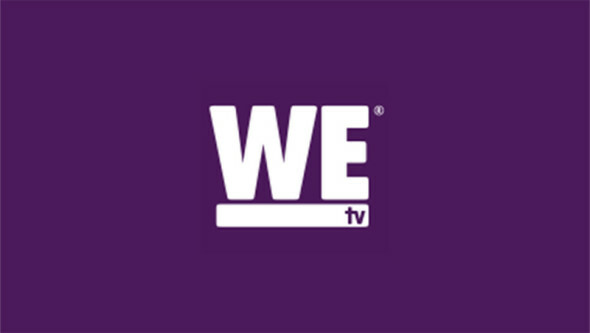 In-house executive producers for WE tv are David Stefanou and Lauren Lazin. With signature shows like “Braxton Family Values,” “Marriage Boot Camp: Reality Stars,” “Growing Up Hip Hop,” and “Million Dollar Matchmaker,” with Patti Stanger, WE tv is the #1 cable network for African American women and adults on Thursday nights. With compelling, can’t miss unscripted shows, WE tv’s programming is fueled by personalities and relationships filled with purpose and passion. WE tv welcomes everyone and creates an inclusive experience across all platforms: on TV, online, on demand, and social media, embracing how today’s digitally savvy, socially engaged audiences connect through content, using it as a catalyst to drive conversation and build community. WE tv is owned and operated by AMC Networks Inc., and its sister channels include AMC, BBC America, IFC and SundanceTV. WE tv: All In. What do you think? How do you like the sound of the Hustle & Soul TV show? Do you plan to check out the series premiere on WE tv? Let us know, below. More about: Hustle & Soul, Hustle & Soul: canceled or renewed?, WE tv TV shows: canceled or renewed? Cancel it! It’s another show that show African Americans in s negative look. When are we going to show our children that we don’t have to be negative in our achievements?!?!?! It’s a sad way to make money!!! I like the show but it comes off way to fake. It’s no way a restaurant owner would be allowing all that messing stuff to go down in his business. I hope you bring back Hustle and Soul. I love the show. Especially the food.